The gift for Archbishop Tutu and his wife, Leah, has emerged from the kiln. And it is a beauty. 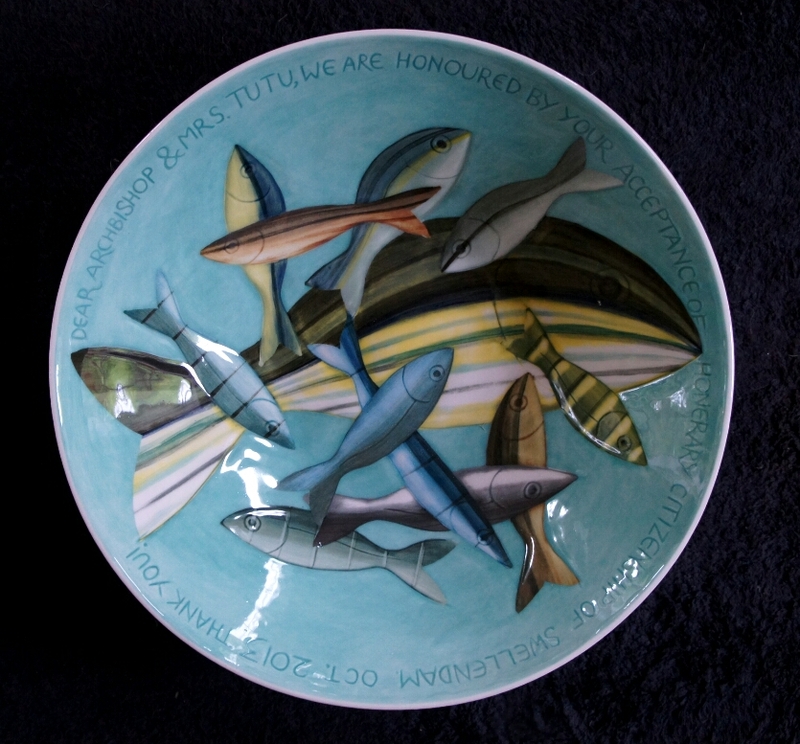 Leading South African ceramic artist and our neighbor, John Newdigate, agreed to create a large platter for the Tutu family to remember the day by. The decision was to create something which is not merely a decoration or memento but a very functional item which can become part of daily life for the family. Hence a super large platter. Depicting natural and organic shapes in his work, artist John Newdigate creates gloriously vibrant pieces in his ceramic bowl and vase collection.